The M2 Field shotgun is light, ruggedly built, and fast handling. It is the backbone of the Benelli semi-auto line that cycles everything from target loads to the heaviest 3-inch magnums. Ultra-reliable Inertia Driven® system ComforTech® recoil reduction system 12- and 20-gauge Crio® barrel and choke tubes Left hand configurations Compact configurations Lightweight and well balanced Federal firearms laws do not allow us to ship firearms directly to you. Please contact us for ordering and shipping information. 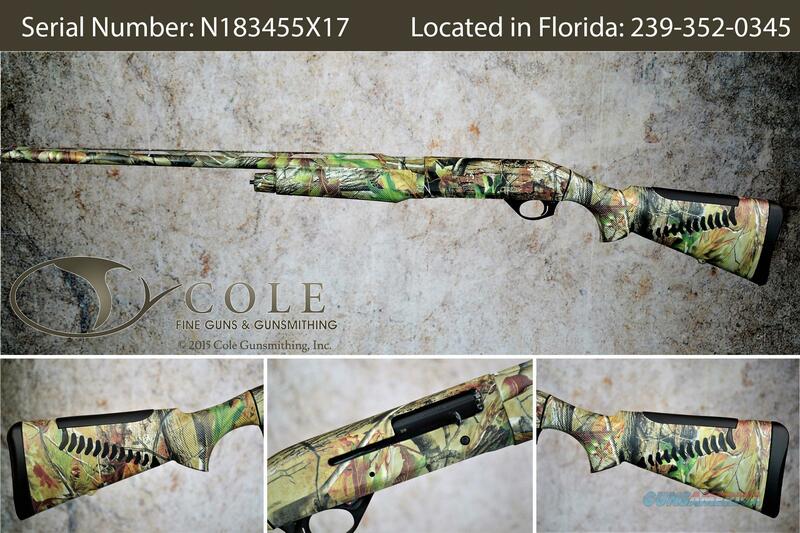 Drop at nose: 1 7/8"
Length of pull: 14 1/2"
Established in 1985, Cole Gunsmithing is one of only five (5) Beretta Warranty Service Centers nationwide and is also skilled in the general service of Perazzi and Zoli Shotguns. Owner Rich Cole and his team are well-known as the Beretta experts here in the United States. Trained by the Beretta factories, Cole Gunsmithing knows Italian shotguns. We are the exclusive dealer for both Beretta Premium and Perazzi shotguns in both Maine and Florida. In addition, we are stocking dealers for Benelli, Zoli Caesar Guerini, and FabArm.Our company is a full-time facility offering best-quality gunsmithing services in two modern shops equipped with state of the art machinery and tooling. So, whether you are a beginner looking for a standard shotgun, a competitive clay sports shooter demanding the utmost in quality and performance, a collector looking for something unique, a hunting enthusiast or anywhere in between, Cole Gunsmithing is committed to the highest levels of customer satisfaction. PLEASE NOTE: Due to rising fees, 3% will be added to all purchases made with a credit card.